New Kitchen Berwick. Check out a beautiful recent kitchen renovation performed by AC&V Kitchens in Berwick. AC&V Kitchens can cater for all your cabinet making and kitchen building needs, though many don't realize we also specialize in bathrooms. 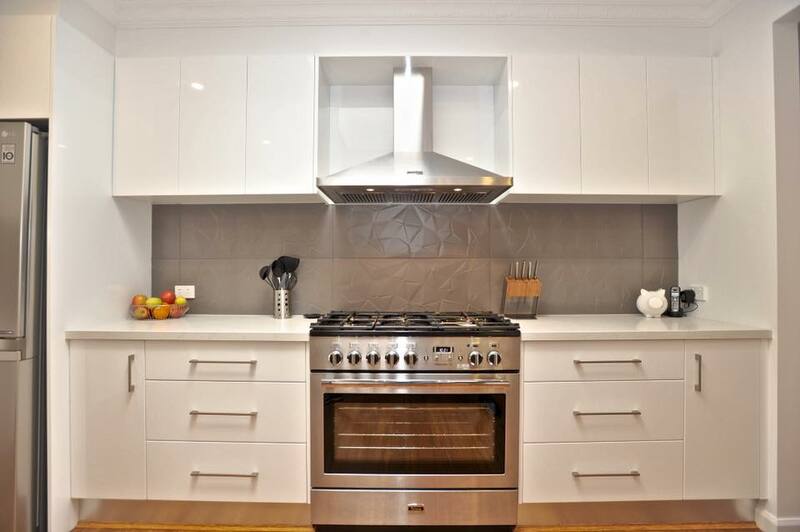 If you're thinking about a new kitchen renovation or bathroom makeover in our around the suburbs of Melbourne and the Mornington Peninsula, please don't hesitate to contact us. A functional and stylish kitchen is a true asset, because it not only enhances your home but also supports and nurtures your family's lifestyle as well. Handles or no handles, it’s entirely up to you! !